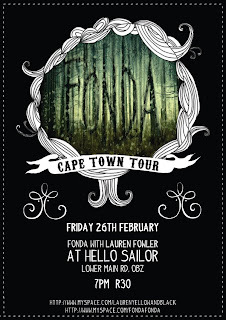 I'm opening for Fonda on Friday at Hello Sailor, it's this new, cool little spot that just opened in Observatory. 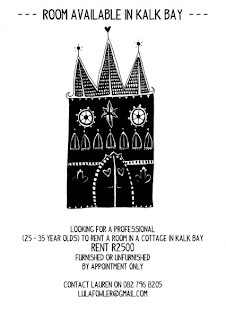 I'm looking for a rad person to move into my rad cottage in rad Kalk Bay! The rent is R2500 p/m and the room is furnished with a double bed and a beautiful free standing cupboard, the room can also be empty at your request. I have 2 cats and the rest of the cottage is fully furnished. I work from home, so I'm looking for someone that works away from the house during the day. Hope to hear from you soon rad person! Oooh! 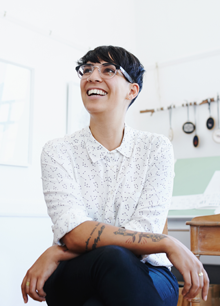 I've been interviewed and blogged about! 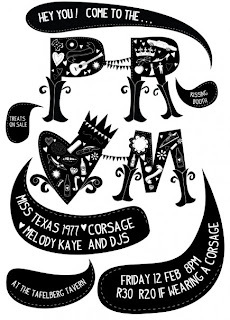 On THE MR PRICE BLOG thing, how radcore. Read about how cool I think I am here. There are also other nice things to look at there. Thanks to Amber who thought I was interesting enough to ask me these questions! I'm now stocking Beatnik Bazaar! Thaya blogs about it here. My button earrings were also modelled on the new Folklore shoot by the beautiful Shannyn. 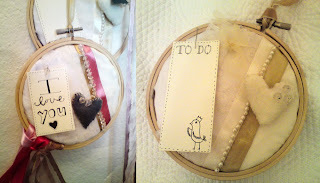 This Friday I'll be exhibiting my hoop pin boards at the "Hoop" exhibition at Blossom. Come through for a glass of champagne and a bit of sea side inspiration!